Today is the final day of the A-Z Blogging Challenge! The aim is to write a post for every day of the month except for Sundays, with each post representing a different letter of the alphabet. 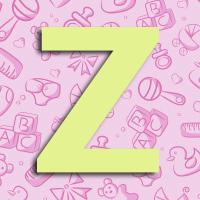 This year, since I’ve just become a mum for the first time, my theme is: ‘an A-Z of Newborn Care’. I’ll be talking about all the highs and lows of parenting, sharing things that have been useful for me and posting some cute pictures. For the letter ‘Z’ I have chosen to talk about Getting Some Zzz’s, in other words, getting some sleep. Looking after a newborn is obviously exhausting and you need to look after yourself in order to care for your child effectively. In the early days, let the chores slide and try to nap when your baby does. If you express milk or formula feed, let someone else look after the baby while you catch up on your sleep. If you’re breastfeeding, consider co-sleeping or bed-sharing so you can easily feed in the night, but follow safe sleep guidelines. During the day, put your baby down for naps in their moses basket or crib in a darkened room when they are sleepy but awake. Introduce a bedtime routine at night and make sure they have a good feed right before bed. 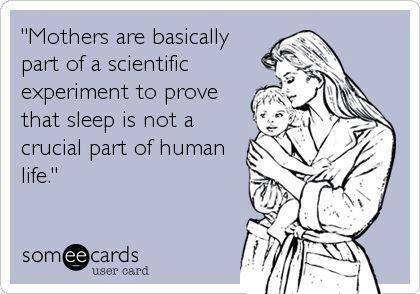 Try playing white noise, swaddling and rocking to sleep. Check out my post on soothing babies and the 5 S’s for more info. Make sure the bedroom is dark and warm (but not too hot). Don’t try to keep your baby awake in the day in the hope that they will sleep better at night. 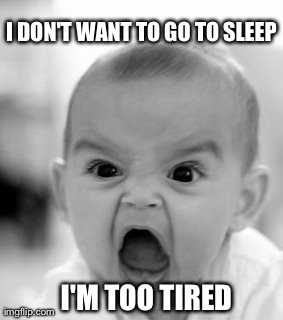 Babies easily get overtired and overstimulated and it will have the opposite effect. Sleep begets sleep, so let them nap all they want. Avoid using scratch mittens at night so your baby can learn to self-soothe by sucking on their hands or try using a dummy to settle them. If you are an anxious person, consider getting a movement monitor such as the Snuza Hero that will alert you if your child stops breathing. While it cannot prevent SIDS, it may give you a little peace of mind and allow you to relax more. If you struggle to sleep even when your baby is asleep, try relaxing with a hot bath and a warm, milky drink. Avoid drinking caffeine after midday and don’t use technology after 8 pm. The bottom line is, some of these tips may work for you on some days and other days none of these tips will work. Just when you think your baby has a good routine and has started to sleep through the night, they like to change it up and start waking three or four times again just to keep you on your toes. Sleep deprivation is tough, but remember it doesn’t last forever! The Sleep Judge’s article on sleep regression explains exactly what it is and offers tips on how to cope. The Baby Sleep Site and Baby Sleep Advice have some great articles and tips for helping your baby (and yourself) to sleep. 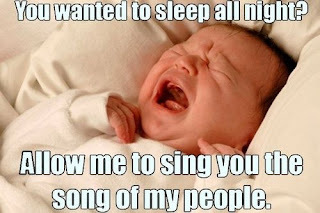 The Ultimate Guide for Better Baby Sleeping has some useful info and tips, as well as some relaxing lullabies to play. Make sure you’re following the NHS advice. 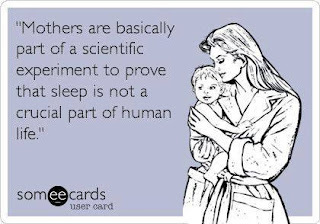 If you want a laugh, check out this funny article: Is your baby going through a sleep regression? 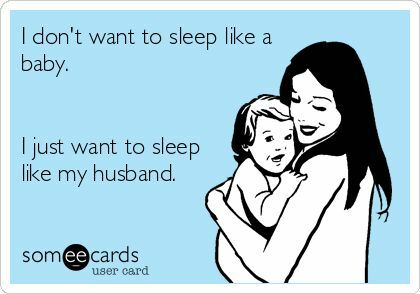 Do you have any tips for getting more sleep while caring for a newborn?